Looking to go on a cool campervan expedition? 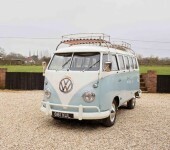 Then contact the owners on Camperbug who want to rent out their van to holiday makers visiting Dorset. 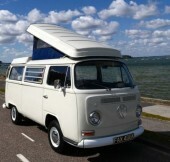 Camperbug vans are available to rent from locations including Poole and Weymouth. If you are visiting or passing through destination such as Shaftesbury, Sherborne, Wimborne Minster or Dorchester, then get in touch and we will be happy to help you hire a suitable van for your trip. I am Hendrix, hire me today! 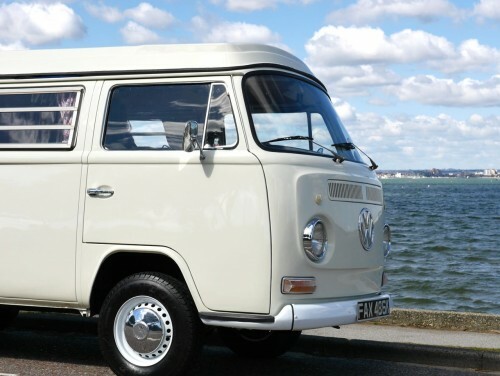 Brazillian Danbury Campervan only built in 2006.One of the last classic air-cooled engines for that authentic campervan experience! Based in Bournemouth for easy access to the New Forest to the east and the Jurassic Coast / Purbecks to the west. NOW BOOKING FOR 2018! take a holiday on the beautiful Dorset Coastline, the New Forest or the Purbecks! VW t4 Autosleeper factory conversion with hightop roof allowing for extra headroom /bedspace in vehicle. Modern 5speed gearbox, drives as easily as a car.Based in Bournemouth providing easy access to the New Forest to the east and the Jurassic Coast.